The war between the Je’dii and Rakata is at full its highest, both forces are pushing for power in the war. This issue we find out two major things, one being more important to the overall story. The first one is that Xesh name isn’t really his name, but is his slave name given to him; his real name is Tau which means soul in his native language. We get to see Xesh and shae koda become closer to one another, with shae Koda confessing her love for Xesh. I find this relationship between these two to be interesting when Koda tells Xesh she loves him Xesh tells her that love is some he’s never experienced due to being a Force Hound, express that he to has feeling for her but doesn’t know if its love. 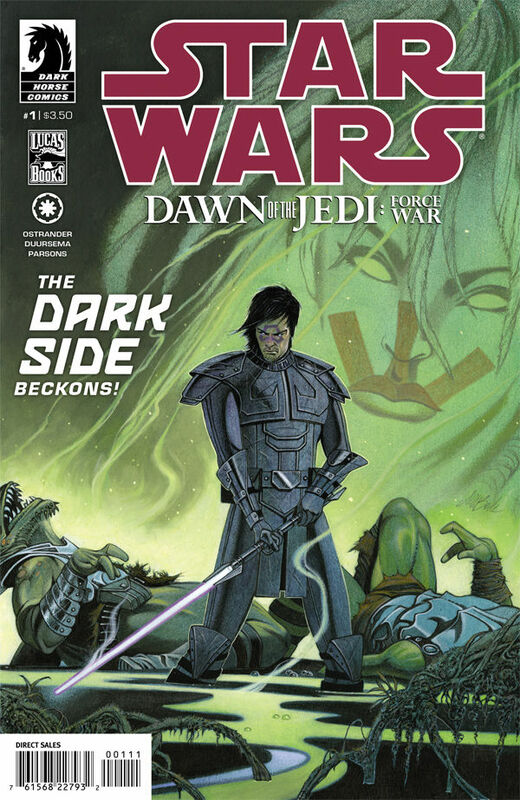 In the first issue we find out that the je’dii have a traitor amongst them, and in this issue its finally revealed, and its je’dii member Trill. She informs the Rakata of the Je’dii’s plan to attack their main command center, with Trill’s help Rakata master Skal’nas devise a plan to sabotage the Je’dii when they attack. When Daegen Lok, Sek’nos Rath and the other Je’dii’s attack the command center, they are ambushed by the Rakata soilders, which leads to Daegen Lok being taken down. The issue ends with Trill leading Xesh to a underground complex where other Je’dii have been captured and put into capsules. Xesh states that if they don’t stop the Rakata all Je’dii will share this fate; Trill replies saying it will be and attacks Xesh form behind using force lighting. 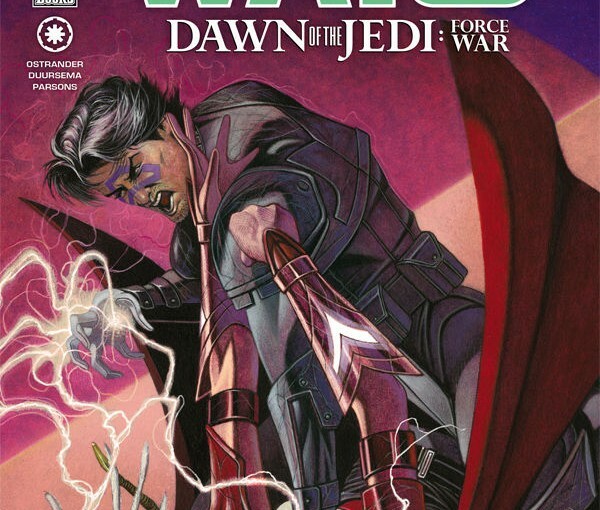 Star Wars: Dawn Of the Jedi Force War #2 has good action sequences once again which it’s safe to say will be a constant throughout this story. While some may say that there is a little too much meaning less dialog at times, Ostrander does a wonderful job with bring out each characters personalities , given the reader the chance to get to know the characters. The artwork like I stated before is great in my opinion, Jan Duursema has some of the most consistent artwork a heavily action base comic and reader can get, Some comics that features a ton of fight scenes usually starts to lose consistency , So far Duursema doesn’t have that problem. 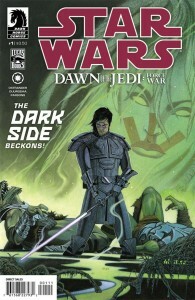 Star Wars: Dawn Of The Jedi Force War is story writing by John Ostrander and Jan Duursema, it takes place 36,000 years before the events in Stars Wars: Episode IV – A New Hope. 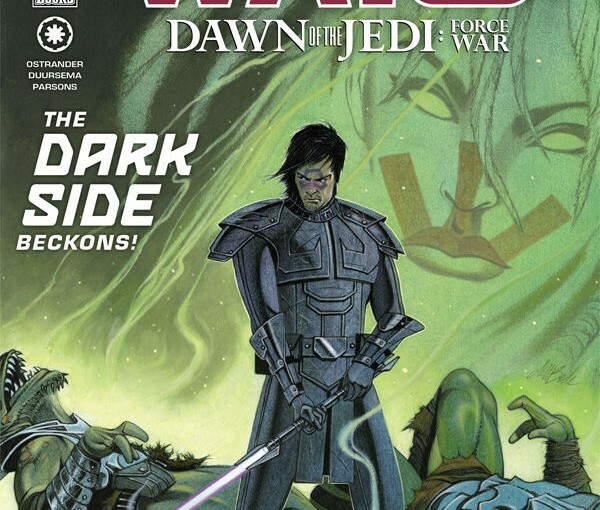 In the beginning of the issue we see Dark Jedi master Xesh and the Je’daii battling the Flesh Raiders on the planet Shikaakwa, with their new Forcesabers in hand the Je’daii look to have the upper hand in the force war with the Rakata. Ostrander starts this arc with a bang form the start, with a massive war commences we see how the Je’daii are not your typical jedi order, they use the force as they see fit which I find interesting. The story it’s self is nothing special and pretty straightforward for the most part, I will say there is a lot of characters in this issue, and we all know when you have a ton of characters in a comic there has to be a considerable amount of exposition, and for the most part this issue is filled with it, some could argue its a little too much and for most part I can agree with that. New readers should will be able to pick up the story in not time, Ostrander keeps it simple and uncomplicated, Artist Jan Duursema work is solid thought-out the entire issue, he does a wonderful job with the color scheme keeping the feel of the story dark. His action sequences are smooth and clean in every panel nothings over the top. Now back to the story and how it looks in the future. It looks as if there are going to be a few plot twist in the upcoming issues. 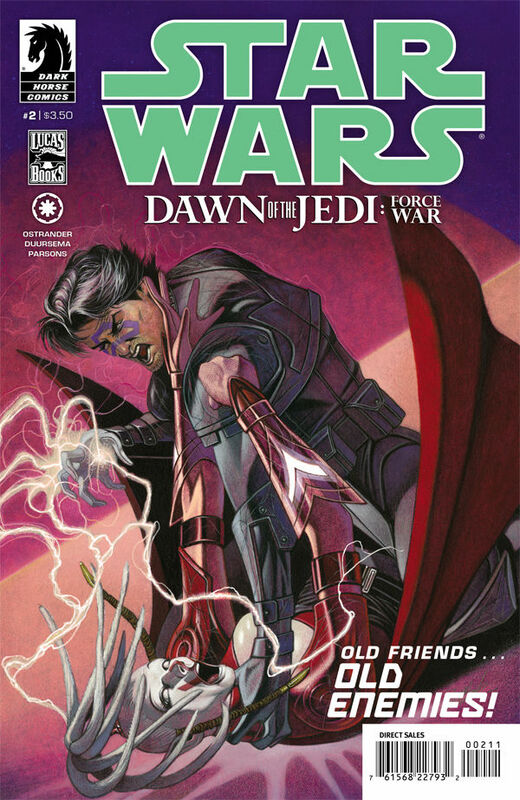 With that said Dawn Of The Jedi Force War is your typical Stars comic and should be another solid arc for the popular franchise, I recommend all fans to give this arc a read, I know I will.